JRI-Poland and the Polish State Archives have announced a new agreement to expand the availability of Jewish records from Poland. An earlier agreement which was in effect between 1997 and 2006 resulted in the indexing of more than 4 million records which make up the bulk of the JRI-Poland database. The cancellation of that agreement in 2006 was a major blow to Jewish genealogy. There have been ongoing discussions since 2007, but the resumption of cooperation did not materialize until now. This announcement, made on Friday, is much more than most expected, and well worth the wait. The first major component of the announcement is that JRI-Poland will be able to add an additional million records to its database within the next year. That is in addition to the 4 million existing records already in their database that originate from the Polish State Archives. presence of Polish Consul General Andrzej Szydło in Montreal, Quebec. The second major component is that JRI-Poland will launch a new Order Processing System, which will allow people searching for records on the site to click on a record they want and order it directly on the JRI-Poland site using a credit card. JRI-Poland will handle the credit card processing and the archives in Poland will copy the records. For anyone who has dealt with ordering records from Polish archives directly, this is a major breakthrough. While my Finding and getting copies of Jewish records in Poland article is still one of the most popular on this site, and was published in print as well, it is my hope that this announcement means that in the future that article will not be needed. with JRI-Poland representative Krzysztof Malczewski (on left) looking on. The third major component of the announcement is that the Polish State Archives is starting a major effort to digitize all of their records in all 30 Regional Archives, and make them available for free online. As these digital scans come online, JRI-Poland will link directly to the images from their database search results. As the images come online, the new Order Processing System will be phased out. The announcement is available on the JRI-Poland site (in English) as well as the Polish State Archives site (in Polish). I’d like to congratulate Stanley Diamond, the Co-Founder and Executive Director of JRI-Poland, as well as the other JRI-Poland board members, staff and volunteers who made this agreement possible. I look forward to seeing the different elements of this agreement come to fruition, and will let readers of this blog know about things as they happen. If you’ve done any genealogical research in past dozen years you’re probably amazed at how much information is available online. The Internet has certainly changed how genealogy is done, even if the number of records online is still a tiny percentage of what records are actually out there in the real world. Yet, have you ever wondered how all this information made its way online? Certainly finding a hand-written birth certificate or census record of your distant ancestor in the 19th century is not something that happens without a human being spending the time to decipher the handwriting and enter all the relevant information into a database. Yet how do these databases get created? In the world of Jewish genealogy, probably the biggest project to index records is JRI-Poland, which has put indexes of over four million Jewish birth, marriage and death records from Poland (and places that were once part of Poland) online. JRI-Poland doesn’t actually put the records online, but an index to those records. 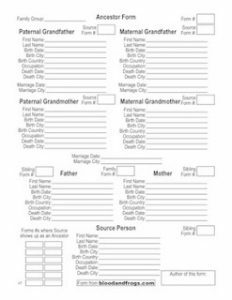 Usually the information in that index contains the most important details that you would find if you could view the actual record, such as the name of the person, sometimes the names of the parents, associated dates, etc. although on the flip side, without seeing the actual records you can never be sure that all the information is 100% accurate and you don’t know what was left out (sometimes records have notes written on them that contain information important to genealogists). 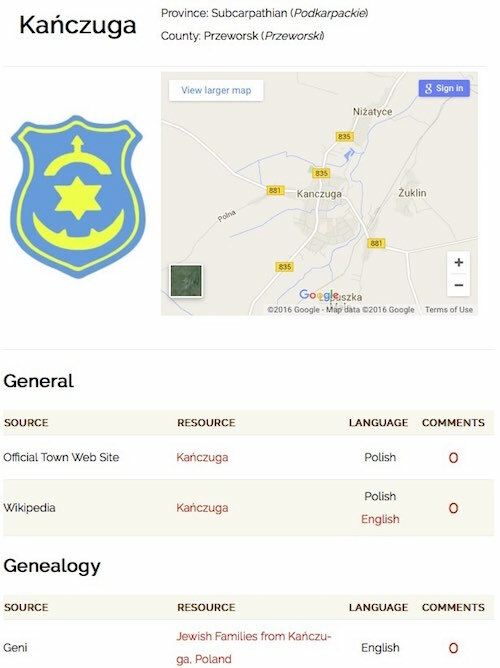 JRI-Poland works by locating relevant records in archives across Poland, figuring out how many records exist for each town covered in the archives, then soliciting donations for the indexing projects for each town. The idea is that if you know your family is from a specific town, then you’ll likely contribute to have the records indexed for that town. In their favor, if a town has a lot of records to index (thus costing more to index) there are usually more descendants of those people to help contribute to the indexing projects. Once the money is raised for a town project, JRI-Poland makes copies of all the index pages from the archive and then pays people in Poland to create the electronic indexes of the records. Why use locals instead of crowdsourcing the indexing like other sites do? I think the main issue is that records from Poland from the 19th century and the early 20th century (when most of these records come from) can be written in a mix of Polish, German and Russian. It all pretty much depends on who was in control of the particular town at the time the records were created. Poland was divided among the various empires in the area multiple times the same town might have been under the control of the Austro-Hungarian Empire (which generally used German for records) or Russia (which obviously used Russian for records). Finding descendants of the people from those towns that speak those languages and is difficult to do. 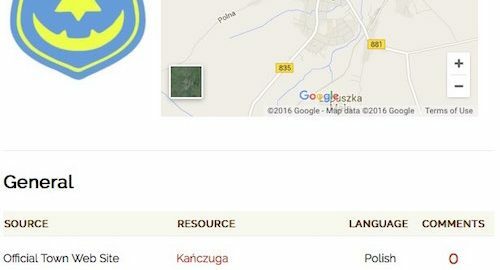 In order to make the indexing easier and to insure there are fewer mistakes, JRI-Poland finds local Poles who know the languages they need, and pays them to do the indexing. So your contribution in the process is fairly simple, pay the money. There are other ways that online databases get created. Sometimes individuals or groups take it upon themselves to put either records or indexes of records online. Sometimes people just post their contributions on their own web pages, sometimes they contribute them to existing online projects (like JewishGen) and sometimes they coordinate their efforts through sites set up for such projects, like USGenWeb or the Immigrant Ships Transcribers Guild (ISTG). These sites help volunteers to coordinate their efforts and bring records online, where a set of local vital records on USGenWeb, or a ship passenger manifest on ISTG. Sometimes these kinds of records are difficult to locate, so indexes to the indexes pop up, like Census Finder. One very good example of a volunteer site is GenTeam.at, which indexes Austrian records. As a group they have indexed over 2.7 million records from across Austria, including hundreds of thousands of Jewish vital records. The records are all indexed by volunteers and the site is free to use (although you must register first). Another way databases or indexes of records get created is by companies that make money from making the records available online. These companies spend a lot of money in acquiring records, scanning records and creating indexes of these records so that they are searchable on their sites. These companies either have experts in their employ who create the indexes of the records, or pay people to do the work for them (usually overseas where labor is cheaper). Examples of web sites that do this are Ancestry.com, Footnote.com (recently bought by Ancestry.com), WorldVitalRecords.com, etc. Footnote.com, for example, made a deal with the National Archives and Records Administration (NARA) to gain access to many of the files they have (such as naturalization records) and make them available online. Sometimes these sites will let you search their records for free, but if you want to actually see the records and the information in them, you need to join the website and pay a membership fee. There obviously is money to be made in this area as the large companies each have over a million subscribers each paying them money monthly or annually. In these cases, your membership money goes towards their indexing efforts, but not in a directed fashion of course. You’re not contributing to an indexing effort as much as the company’s bottom line, but in the end you do get access to new records. I won’t go into detail now about the role of genealogy in the Mormon Church, but needless to say it is important on a religious level, and the church has invested a lot of time, effort and money into collecting records from all over the world. They have collected billions of records from countries across the globe, generally on microfilm, and keep those microfilms in a secure underground archive in Utah. From the original microfilms kept in that archive, copies are made available in their Family History Library (FHL) in Salt Lake City, and in Family History Centers (FHC) across the US and across the globe. For decades the only real way to access these records was to go to the FHL in Salt Lake City, or go to an FHC near you and request access to specific microfilms, which if they didn’t have they could borrow from the FHL. Accessing these records were difficult for another reason, which is that if you didn’t speak the language the records were written in, you would need to hire someone who spoke that language to go to the FHL or an FHC and sit in front of a microfilm reader and find th records you were looking for (if they exist at all). Obviously this was (and still is) an expensive proposition. Of course, with those billions of records on microfilm it was only logical that people would start asking to make the records available online. The problem putting them online is not only to scan all those microfilms, but to have people create the indexes that will make the records searchable. The Family History Library’s online presence is known as FamilySearch.org, and it is through that web site that Mormons as part of their religious duty collaborate in creating their own family trees, but also where the Mormon Church has started to make those billions of records available online, for free. With such a massive undertaking, FamilySearch.org had to come up with a way to find help in creating the indexes for all their records – what they came up with is FamilySearch Indexing, where they allow anyone who has access to a computer and Internet to help them index their massive collection of records. FamilySearch claims that over 300,000 volunteers have indexed over 7 Million records since 1996. This year they were trying to index 200,000 records (with only a few days left in the year they’re around 185,000 records). To help out yourself, you start by signing up on their site, and then downloading a computer program which lets you do the actual indexing. 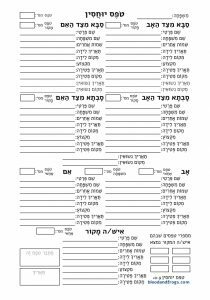 The program lets you specify the difficulty of the records you’re willing to work on (easy ones are recent records typed or written in block print, harder ones can be handwritten in a fancy script and be written a hundred of fifty years ago when handwriting was different than it is today) and what languages you can understand. Once you’ve set up the program it runs your through some easy sample records so you get how it works, and then you can start indexing records by downloading them in batches. Batches are collections of records that make up a kind of work unit. You work on all the records in the batch and when you’re done, you can submit them for review and get another batch of records to work on. A single batch might have only a few records to transcribe if they’re difficult, or perhaps dozens of records if the records are all listed on one page and are easy to read. As you index more and more batches of records, you earn points. Generally, easy records earn you one point and harder records can earn you more points. Mainly, the points are just a way to keep track of how much work you have contributed to FamilySearch Indexing. The site does offer a Premium Membership to volunteers who earn more than 900 points in a calendar quarter. This gets you a Premium Membership for the rest of that quarter and the whole next quarter. FamilySearch estimates one would earn 900 points a quarter by spending about half an hour a week working on indexing. What does a Premium Membership get you? Well, it seems that while FamilySearch.org owns a lot of the records they put online, they don’t own ALL of the records they make searchable online. In some cases they need to pay the owners of these records whenever someone accesses the image of the actual record. As such, in order to see those records, you need to be a Premium Member, either because of your records indexing or because of membership in an organization that sponsors FamilySearch.org (such as the Mormon church). If you do find a record that is restricted to Premium Members only, you could of course index 900 records that calendar quarter to gain access to it, although sometimes you may find that the record exists elsewhere and just knowing it exists is enough to send you to another site to find the actual records without doing that much work. I would say, however, that if you use FamilySearch.org, which for what you can access is always free, you should think about contributing to their efforts by doing some indexing yourself. It doesn’t cost you anything but your time, and the next time you find a record on FamilySearch.org that is connected to your family, just remember that the file was probably made searchable by a user like you who contributed their time to indexing. As one of this blog’s focuses is Jewish genealogy, and there has been some controversy with the Mormon Church and the Jewish community concerning the Mormon practice of posthumous baptism of their ancestors (some of whom were Jewish), and even the posthumous baptism of people not related to the church members, in particular famous people – including, for example, Anne Frank, who has apparently been posthumously baptized at least nine separate times, I want to point to an overview of this whole topic at JewishGen: The Issue of The Mormon Baptisms of Jewish Holocaust Victims And Other Jewish Dead. The issue is going to come up eventually, so in the context of discussing FamilySearch in this post I figure now is as good a time as ever to bring this issue up. I’m not going to dwell on the whole issue, except to point out that even though there have been several attempts between Mormons and Jews to resolve this issue, it continues. There are voices on different sides of the issue – those that believe that the very idea of posthumous baptisms of Jews is sacrilegious, and those who view the religious rites of a different religion as irrelevant to their own. This fight has engendered strong words on both sides, and frankly I have mixed feelings about the whole thing. Certainly many Jewish genealogists have worked hard to make sure whatever information they have on their family is not made available online (such as on public family tree web sites) in order to prevent the possibility that their research might lead to one of their ancestors being baptized posthumously. In this way Mormon genealogy efforts have made Jewish genealogy more difficult due to the added security and protection many Jewish genealogists have implemented with their family trees, yet on the other hand FamilySearch.org has made many very useful records available to all researchers for free, and that has helped all genealogists, including Jewish ones. I think every non-Mormon needs to make a decision on their own what they feel about this issue, and how closely they want to deal with FamilySearch considering that it is a branch of the Church of Latter Day Saints. As I’ve shown above, I don’t think there is a problem to use FamilySearch.org to search for records, and I’ve encouraged people to give back by helping index new records, but beyond that interaction, each person needs make up their own mind about sharing additional information with FamilySearch.org and their parent organization, the Church of Latter Day Saints.